Don’t know who knows about this one, but I thought I’d pass it on. 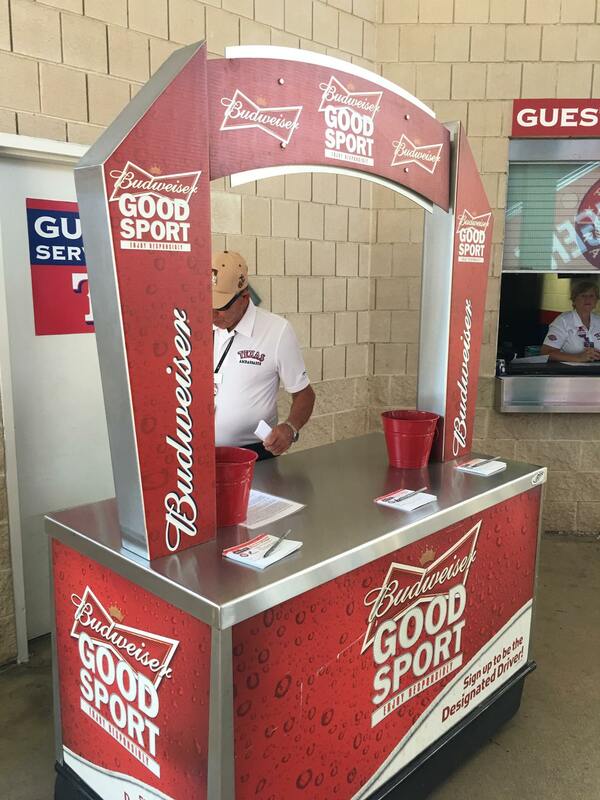 The Rangers for awhile now have had this booth on the concourse behind home plate and the “Guest Services” area. See the pic in the post. Anyway, if you fill out the coupon there, you pledge to be a “Good Sport”, which basically means you don’t drink anything (alcoholic) while you’re there. For the last few years, it’s been really good. However in 2019, they changed the terms, and made it far more restrictive, and to be honest, to the point where I don’t know if I want to bother with it anymore. You still go there and sign up, and you do get a coupon. Despite the coupon physically being the same from last year (and saying fountain drink), they no longer give you a cup which you could use to get a soft drink. All they give you is one 12oz CAN of soda. Either Coke, Diet Coke, or Dr Pepper. That’s it. No other options. On top of that restriction, where you get them is now far more restrictive. You used to be able to turn them in at any stand anywhere. 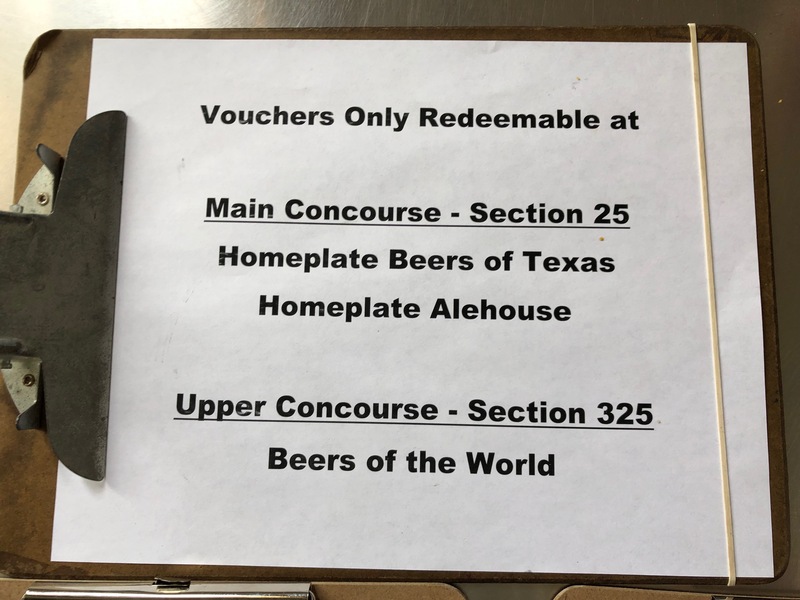 NOW there are only THREE STANDS IN THE ENTIRE BALLPARK that take the coupons. Two of them are right behind home plate near the place you fill out the form for the card. The other one is in the 300 level. There’s NOTHING in the 200 level. I took a picture of the sign they had at the table showing where you can redeem the cards now. It’s below. The program is STUPID restrictive now. I haven’t drunk fizzy drinks in years now, so I’m pretty much out. I would always get lemonade or Powerade. 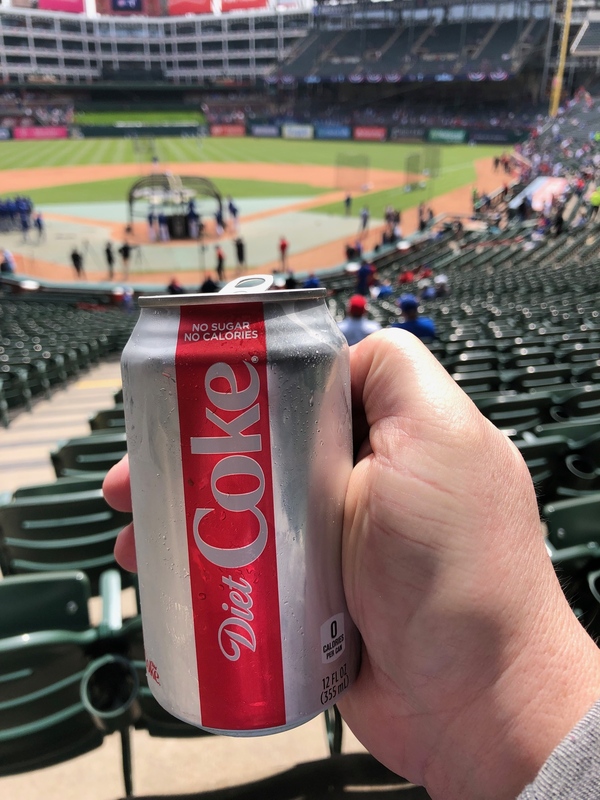 I got a Diet Coke on opening day, and took three sips of it, and then threw the rest out – I can’t drink fizzy drinks anymore, just tastes awful. ALL of them. These were the original terms I had on this post when it was good for the last several years. They give you a voucher for a free soft drink in the park. I use it every time I’m there to get a free lemonade. On Dollar Hot dog nights, it’s even better – last one I had a drink and three hot dogs for just $3 at the ballpark.